JSL Nippon Academy – established in 1986 – has been providing programs to train students to become valuable assets with high levels of language skills, an international sense and hospitality values. JSL Nippon Academy provides the College Preparatory Course for students wishing to pursue further education at university, junior college, or vocational school in Japan. The students will learn everyday language, basic grammar and prepare for the 3rd and 4th grade Japanese Proficiency Tests. The students will exercise and consolidate their everyday language acquired the Freshman Class and increase their vocabulary. Students are expected to prepare for the 2nd and 3rd Japanese Proficiency Test. The students will acquire comprehensive and high level of Japanese skills including, writing, listening and speaking. Students are expected to prepare for the 1st grade Japanese Proficiency Test. JSL Nippon Academy has a vocational school called JSL International college where students can learn International Business and Tourism Business. Foreign students can have academic counseling. Those who have a goal in advancing to university, junior college or other institution can obtain detailed career guidance. Students, who have been in attendance for a minimum of two years, are able to a transfer to a university. Japanese language learning is not just learn the language. Learning Japanese culture is also important. In our school, you can learn traditional Japanese culture including the Japanese art of flower arrangement and tea ceremony. Students can acquire international international sensibility by communicating other students coming from world and enjoy a variety of activities. 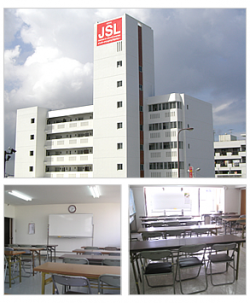 JSL Nippon Academy has own dormitory. There is a big kitchen area where students can cook. In addition, JSL Nippon Academy is building a new building including dormitory. It will be completed in 2015. The tuition and fees of JSL Nippon Academy are as follows. Here is the estimated cost for one academic year at JSL Nippon Academy. 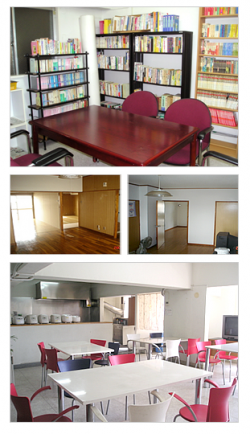 It is based on Dorm type room (8 students, 25,000 yen/month). The estimated cost will be changed depending on how long you stay.